Some wine connoisseurs are specific about where the wine comes from. Let’s look at the major wine regions in the world and the best five wines they have to offer. 1. Chateau d’Yquem Sauternes. It’s golden, sweet and pricey but it’s limited quantity, so getting one should be worth the trouble. 2. Domaine Romanee Conti. This Pinot Noir could empty your pocket, but you need to try it before you can call yourself a wine expert. 3. Chateau Lafite Rothschild. Known for its quality since the 17th century, it also ages well and brings out the cedar, almond and violet taste. 4. Salon Champagne Brut Blanc de Blancs. If you love champagne, then you should know that a lot of connoisseurs consider this one of the best. 5. Chateau Latour. Known to have popularized the wines from Bordeaux, you need to try this Cabernet Sauvignon-based wine at least once in your life. 1. Venica Ronco delle Cime. It’s golden and has hints of fruits and herbs. It’s made from the Friulano grape variety. 2. Giacomo Conterno Monfortino, Barolo Riserva. Made from Nebbiolo variety, it’s an expensive masterpiece best paired with lamb. 3. Zenato Amarone della Valpolicella Classico. This Valpolicella blend has an alcohol content at 16.5% and tastes like cherries and chocolate. 4. Ca del Bosco Cuvee Annamaria Clementi, Franciacorta. For a competitive price, this sparkling wine is an excellent blend of Chardonnay, Pinot Blanc, and Pinot Noir. 5. Villa Raiano Fiano di Avellino. You can get a glass of this white wine made from the Fiano grapes for a cheap price. 1. Vina Ijalba Livor Tinto, Rioja. The Rioja region is known for producing one of the best red wines including this Tempranillo variety. It’s cheap too. 2. Curios Xarel.lo Albet i Noya. One of the best dry white wines with a citrus and floral scent. It also tastes like grapefruit and lime. 3. Barranc dels Comellars Vi Negre. This red wine was prepared using organic winemaking process and then aged for three months in oak barrels. 4. Dominio Basconcillos Roble. Its alcohol content is at 14% and was oak-aged. It’s pricey too but its plum and vanilla scent are to die for. 5. Spartico Tempranillo. It has a savoury, smoky and fruity flavor. It’s also free of gluten and sulfites, perfect for the health-conscious. It’s also best consumed while young. 1. Morgan Metallico Chardonnay. It smells of Fuji apple, apricot and nectarine. A perfect pair for any seafood and mushroom dish. 2. M Signature Zinfandel. This Californian red is sweet and slightly spicy. 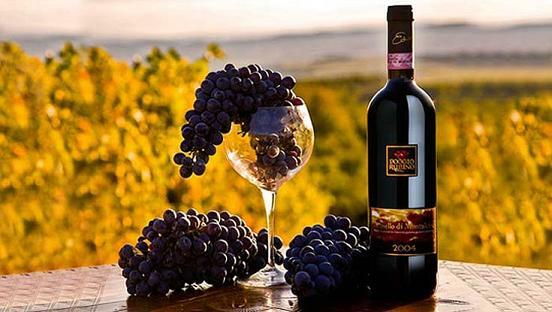 Its grape variety was originally grown in Croatia. 3. Beringer California Cabernet Sauvignon. It’s from one of the oldest wineries in the US. This Cabernet Sauvignon has cherry and blackberry flavors. 4. A to Z Oregon Pinot Gris. It’s considered a versatile wine because it can be paired with any food and served on any occasion. 5. Boom Boom Washington State Syrah. Considered one of the most popular wines from the region where it was produced and is said to have an explosive cherry taste, hence the name. What’s the Difference Between Pneumonia and Tuberculosis? Copyright © 2014 Simply Me Singapore. All Rights Reserved.